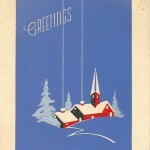 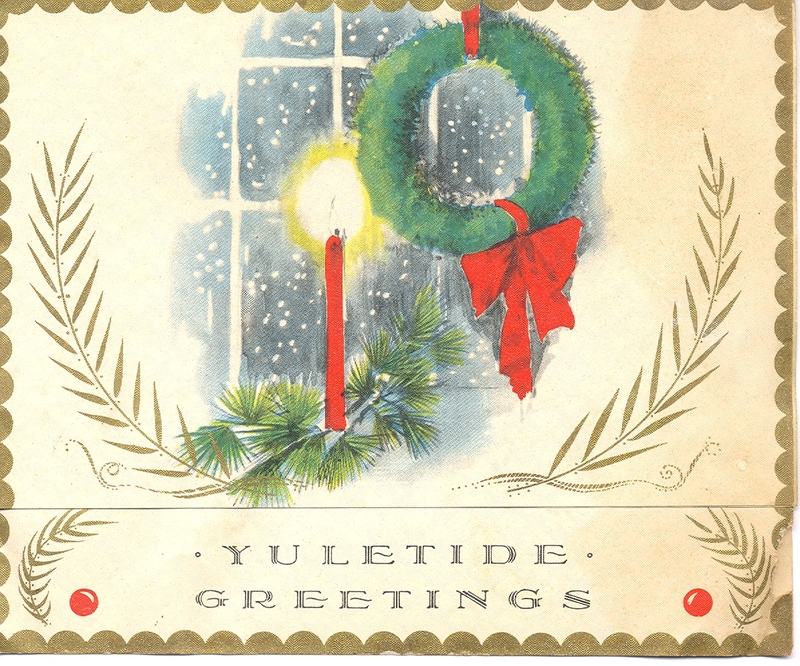 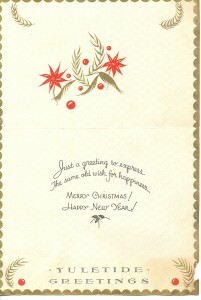 This card is folded so as to show the portion that says “YULTIDE GREETINGS” when the card is closed. 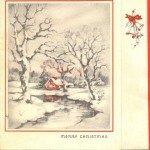 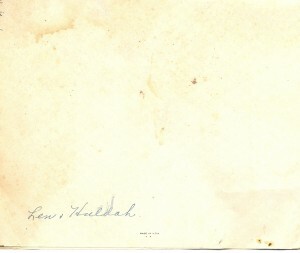 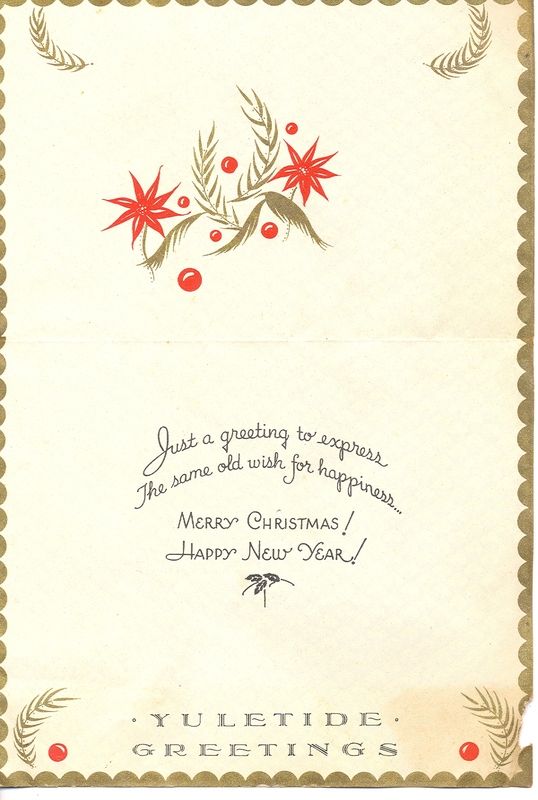 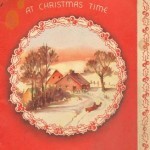 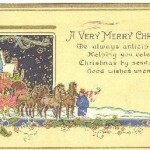 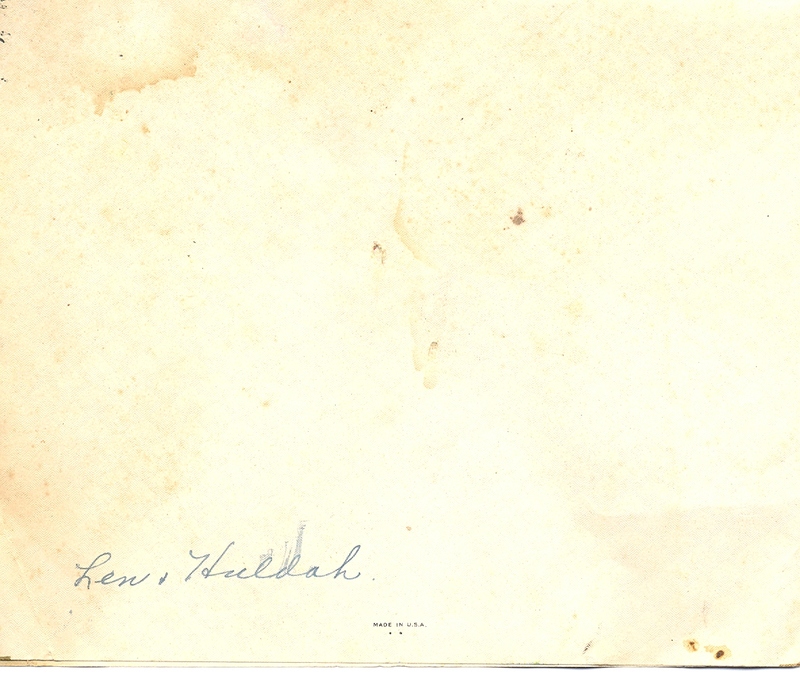 This card is from Belle’s niece Huldah (Carter) Terwilliger and her husband Len. 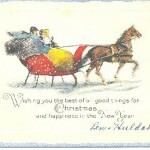 Huldah and Len seem to have sent greetings every year.